Get deep media, financial, litigation, risk and operational signals on entities and your market. SignalX interacts with thousands of data sources across the web on a daily basis. Powerful AI churns through this unstructured data to identify meaningful and interestinng signals that give you a winning edge in the market and lets you focus on your execution and strategy. Optimize risk, gain competitive advantages and qualify your prospects better. SignalX lets you exploit AI to fuel your business intelligence initiatives. Know your customers, prospects and market. SignalX uses AI to find and extract the information and insights you need to get a winning edge in the market from thousands of private and public data sources on the web. An advanced natural language processing engine churns through this data to identify and deliver business critical signals on your customers, prospects and your market. Get deep financial insights on list and unlisted entities, neatly visualized and prioritized for quick consumption. 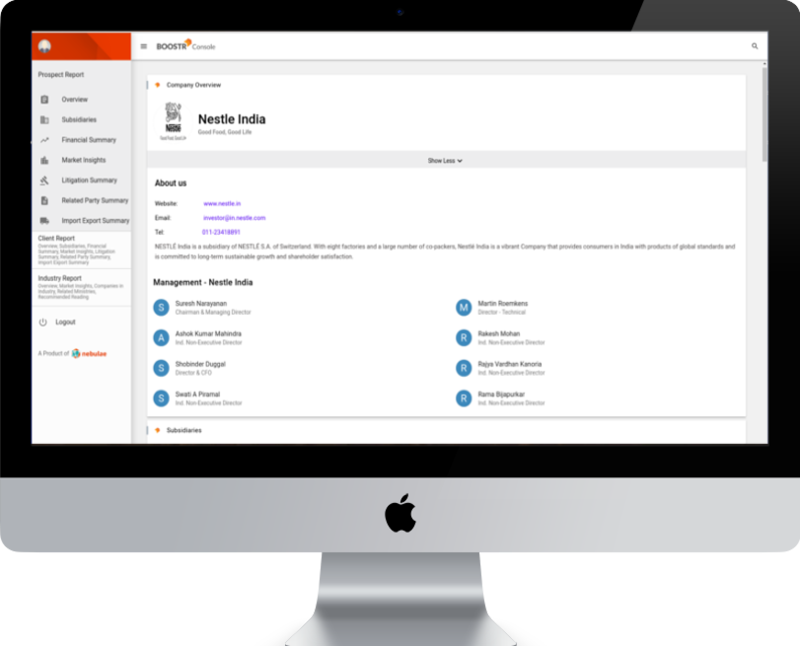 Fetch data on ongoing and past litigations on your customers, vendors and prospects. Identify regulatory trends in your market. Estimate entity risk like never before. Combine adverse media monitoring with financial and litigation signals. Track over 100+ signals across thousands of media sources. Identify adverse news and other business critical signals on your prospects and customers. Extract import and export operations data on your prospects, clients and competitors. Understand operational aspects of entities. Get real time insights on pricing of competitor solutions and products. Gain a competitive edge in the market. insights from exponentially increasing public and private web data on entities and markets. Copyrights © 2019 All Rights Reserved by SignalX Private Limited.